Our Chief Information Security Officer, Allen Jenkins, has issued a security advisory for January 24, 2019. Ciscohas released security updates to address vulnerabilities in Cisco Products. Cisco has released security updates to address vulnerabilities in multiple products. A remote attacker could exploit some of these vulnerabilities to take control of an affected system. Cisco has released a security update to address a vulnerability in Cisco IOS XR. Adobe has released security updates to address vulnerabilities in multiple Adobe products. 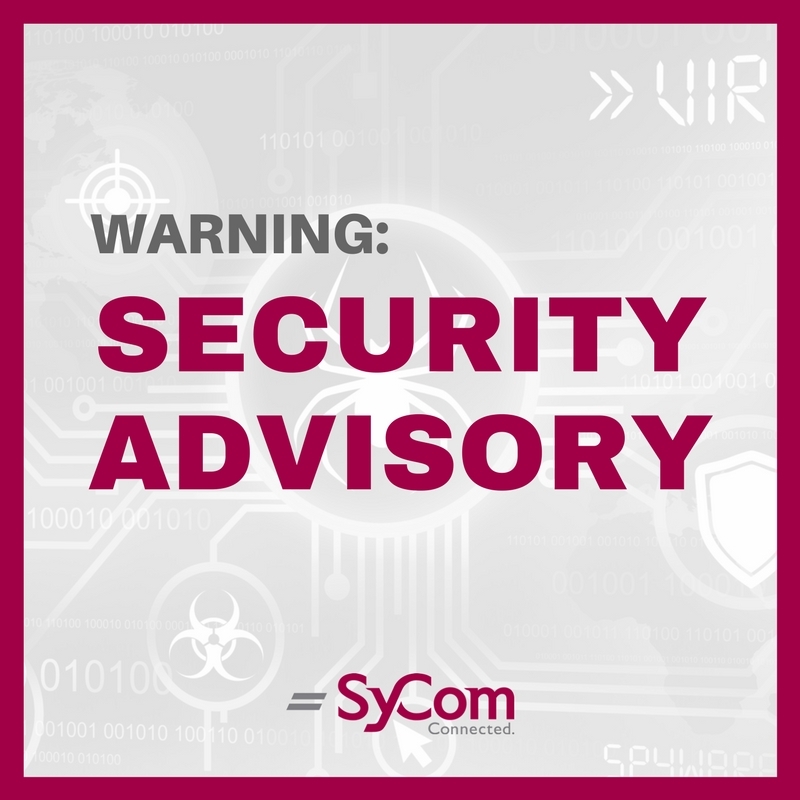 SyCom’s Our Chief Information Security Officer, Allen Jenkins, has issued a security advisory for March 28, 2019. Cisco has released security updates to address vulnerabilities in multiple Cisco products.